SCOTUS end of term: Scalia and Breyer face off over Aereo. Scalia and Breyer battle it out to see who is the least clueless grandpa. The magical tiny Aereo antennae. The Supreme Court scored cool points for old people today. They understood that personal diaries are to cellphones as a horseback ride is to a flight to the moon, and so told the police not to search cellphones, after making an arrest, without a warrant. They didn’t let Aereo get away with its fairly ludicrous argument that equipping you with a personal antenna, through which you can then watch all the TV shows you want for as little as $8 a month, doesn’t involve ripping off the copyright of those shows from the cable and broadcast networks that produced them. In both cases, the justices who wrote the majority opinions (Roberts and Breyer, respectively) tossed off references to “the cloud,” and it was absolutely clear they weren’t talking about the weather. Grandchildren everywhere, heads up: The next time your elderly relatives can’t figure out how to Google the answer to the question they’re asking you, tell them that if the Supreme Court can understand the basics of new (or not so new) technology, they can, too. This is especially a relief since, as you say, Eric, the court got dinged for its grasp of molecular biology last year. Also because at argument in the Aereo case, Justice Antonin Scalia seemed to think that HBO was free over the airwaves. He didn’t make that mistake today in dissenting from the ruling against Aereo. Instead, he had a war of analogies with Justice Stephen Breyer, who wrote the majority opinion. At issue in this case is whether Aereo “performs a work publicly when it ‘transmit[s] … a performance … of the work … to the public.’ ” That’s hardly the formulation Aereo would use in zooming broadcasts to you over tiny personal antennae (with a delay of mere seconds), but it’s the words the court was stuck with because that’s what Congress said is protected by copyright infringement law back in 1976. Breyer (who has five other justices on his side) compared Aereo to a car dealership that provides cars to the public, made up of buyers “who lack a pre-existing relationship to the cars.” Similarly, he continued, “an entity like Aereo that transmits to large numbers of paying subscribers who lack any prior relationship to the works” is serving the public—or, in the words of the 1976 law, performing a work publicly. No, no, Scalia says (speaking also for Clarence Thomas and Samuel Alito). Breyer’s way will “sow confusion for years to come,” because performing to the public, in transmitting all those shows, isn’t what Aereo is doing at all. Scalia thinks Breyer is a clueless grandpa. His entry in the analogy battle is that Aereo is a copy shop that gives its customers a library card. I’ve never heard of such a copy shop, and I don’t think Kinko’s will adopt this model anytime soon. Especially since I just Googled Kinko’s and found out it no longer exists. But to give Scalia his due: The idea is that Aereo, like a copy shop, offers patrons access to a system that “lies dormant until a subscriber activates it.” It’s the subscriber who pushes the button that transmits the shows he wants to watch. And so it’s the subscriber, if anyone, who “performs” the copyrighted work. 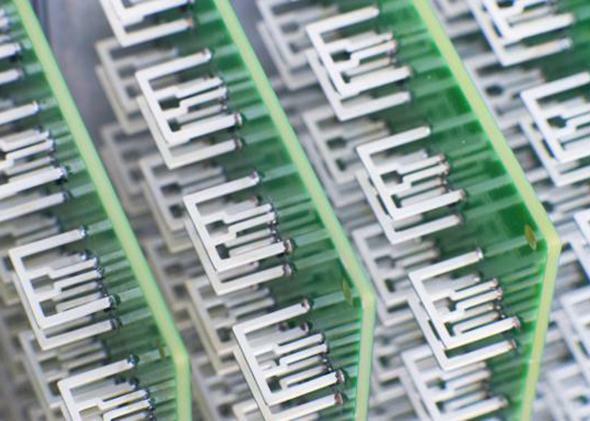 Aereo is passive and blameless. Breyer tries so hard to argue that he is not screwing up cloud computing, or cloud storage, or video on demand, or whatever other emerging technology the court doesn’t want to be accused of standing in the way of. He is not the clueless grandpa! “We have not considered whether the public performance right is infringed when the user of a service pays primarily for something other than the transmission of copyrighted works, such as the remote storage of content,” he writes. Other things he is not saying violate copyright: DVRs, mailing DVDs, and transmitting content to people in your family or social circle. But this only makes Scalia madder. The majority has blown it precisely by trying to go narrow. It has created a rule against the free transmission of copyrighted content by any “cable-TV-lookalike” without making it clear what it takes to be a look-alike. The court has left the industry with “nothing but th’ ol’ totality-of-the-circumstances test,” and that means it will “take years, perhaps decades” to know which companies are crossing the line like Aereo and which are on the safe side. Here’s Scalia’s parting blow: He says that in effectively shutting down Aereo, Breyer has made a mistake as bad as blocking the VCR would have been 30 years ago. Is Scalia right? I’m no tech expert myself, but Aereo’s business model sounds like merry, clever theft to me. And in general, I think the court is safer taking the narrow, case-by-case approach Breyer advocates here than announcing an abstract rule that really could leave inventors and entrepreneurs stuck or scrambling. But what do you guys think? The 10th Circuit stayed its ruling to give the opponents of gay marriage a chance to appeal to the Supreme Court. Rick Hasen and plenty of other people think this means gay marriage is headed back to the justices as early as next term. So far, though, there’s no split over gay marriage in the lower courts since the DOMA ruling. Anyone want to subscribe to my (minority) theory that gay marriage could become the law of the land without another word from the high court? Gay marriage has so much righteous momentum behind it—maybe it doesn’t need another push from Kennedy. Though surely, with a record of 20–0 this year in the lower courts, he will be ready to give it.